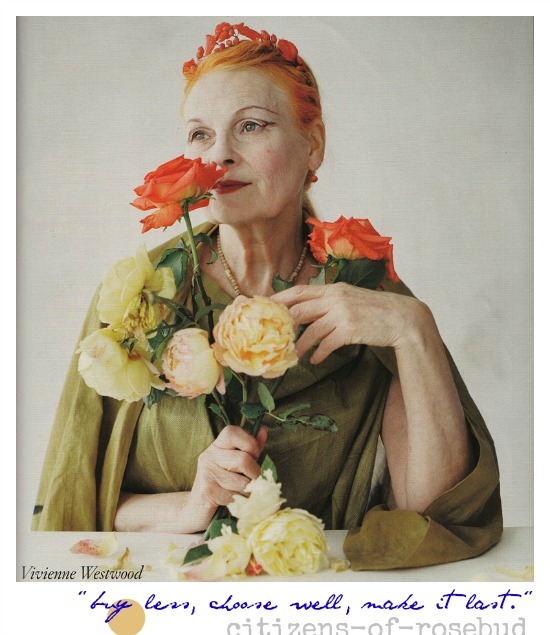 THE CITIZEN ROSEBUD: MONDAY MUSES: Vivienne Westwood says "Buy Less"
If there ever was a patron saint for shopping #SECONDHANDFIRST this firecracker of a beauty is it. 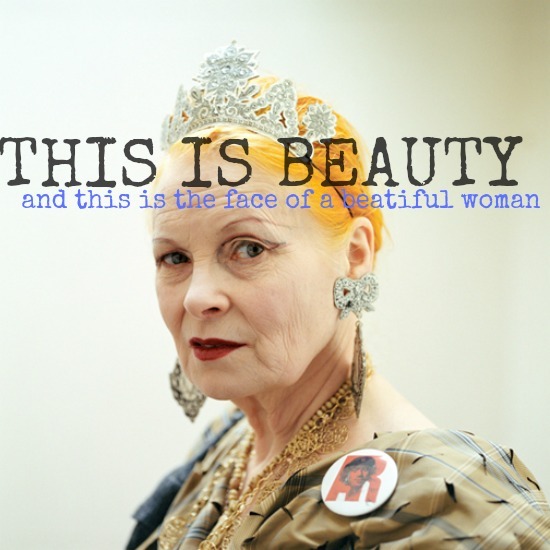 Not one to rest on her already extensive laurels, Dame Viv explains her ethos in this recent interview, proving that beauty, brain and brilliance isn't any less diminished for women still kicking it in their seventies. Her advice is brazen, and sound. Her beauty and talents are as fierce and relevant as ever. Beautiful and fearless - I've always followed her. Thanks for sharing with Visible Monday, xox. She's so awesome. I agree about things should cost more. I actually think they will start costing a lot more in the near future as resources become more scarce. This is a beautiful tribute to an amazing women! I have not mastered shopping second hand, but I do buy less, choose well and wear for decades. Loved this! that was one hell of an interview. Loved it. Thanks Bella. Great post Bella - Viv is such a style inspiration for me, and a fabulous, fierce dame! Lately this is exactly how I feel about fashion. Buy less and buy better. I want to know who makes my clothes, where the materials were sourced and I want it to LAST. And you are right, she is a beautiful woman.